We can all pack up and go home because a 4-year-old has just rendered Turkey’s Children’s Day meaningless. Minutes before paying a visit to her jailed father early on Sunday morning, H.A. 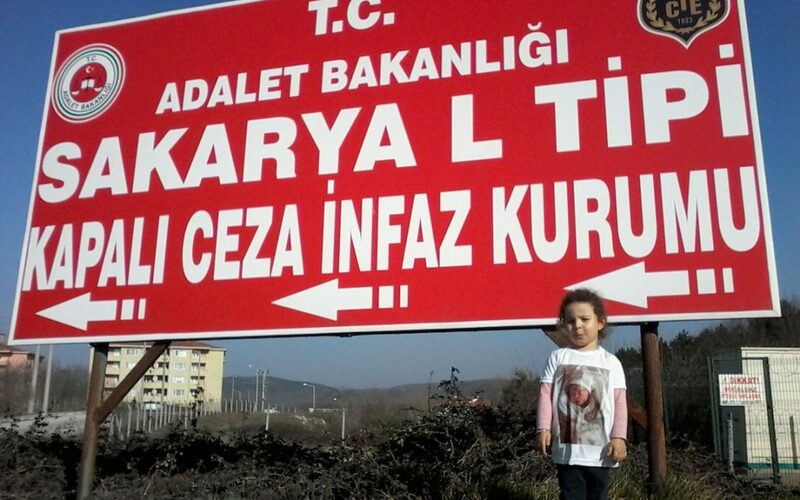 was photographed in front of Sakarya L Type Prison wearing a T-shirt bearing a photo of her newborn baby brother. She couldn’t bring the infant himself to visit due to regulations; therefore, his photo was printed on her T-shirt to show the imprisoned father his newborn son. The father was reportedly arrested as part of an investigation into the Gülen movement, which is accused of masterminding a coup attempt on July 15, 2016. However, the government has so far investigated around 90,000 people and jailed more than 47,000 over links to the group. Prisoners in such investigations include teachers, doctors, lawyers, pharmacists, students, plumbers, football players, actors and even a comedian.